Most of the Schools, Collage or Office Block Facebook and other social networking site such as Google+, Twitter and all. Now a days Facebook is much popular that users can’t stay without Updating their status. Social Networking is waste of time that’s why Schools, Collage or Office Block Social Networking sites. 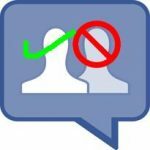 There should be a time limit Facebook should be used for certain period of time not for whole day.But If you are addicted in Facebook, Google+, Twitter Like me then you must have to try below Methods to Access block sites. It all depends on Administrator how the Admin block Social Networking sites. Admin can block site using IP (Internet Protocol) address . Every Website have unique IP address. Server matches the URL and IP address if they match then website is opened . Admin Block social networking site using IP address . Hence you have to access facebook using IP address not by domain address .As i have told you earlier IP address will match the domain address if they match then you can access block website. Go to Start and Click on Run Now type ping facebook.com -t and Hit Enter. Now Command Prompt will open and it will show IP address of Facebook. In the address bar of opera mini type http://m.facebook.com . Proxy Website are used to open block website by bypassing the proxy address .There are large no. of proxy site which are getting daily updated but i want to share some few important proxy sites. 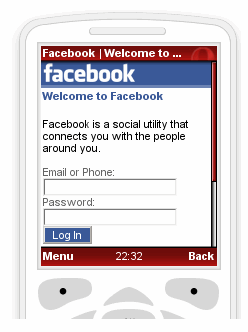 In Securitales you can access Facebook from anywhere . No need of installation of any software because in some collages installing any .exe file is not allowed . If your collage allows to install .exe file then try to use ScrapBoy . In Securitales it’s demo version they give access to social Media for only 15minutes . Connect your facebook account with your gmail account or any other Email account . Since you can access email account in you school or college all the notification will be send to your Gmail account read them and you can reply too.The only differnce will be you will using Gmail as an backend to access facebook . Go to Account Settings >> Notifications Settings >>Tick Mark check Box Email frequency . Friends Please don’t get Addicted to facebook …..Enjoy FB!! !